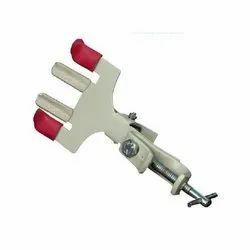 Leading Exporter of laboratory four finger clamp, boss head clamp, three finger clamp, laboratory prong clamp, laboratory two prong clamp and burette clamp from Ambala. Jaws are Made aluminium casted material. Jaws are crossed and duly covered with thick rubber sheet. 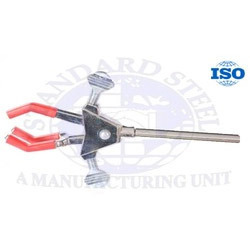 We are counted among the leaders in manufacturing and supplying Boss Head Clamp that is manufactured using mild steel material that is procured from the reliable vendors of the market. Ultra-modern machines are used for the manufacturing process that keeps the product in line with the pre set industry standards. The team of our proficient professionals keep a check on each step of the manufacturing process and ensure that only selected products are dispatched to the customers. Made with die aluminum casted material. Jaws are crossed and duly covered with rubber tubes. Jaws are Made aluminum casted material. Jaws are crossed and duly covered with thick rubber mat sheet. Made with casted material, with interlocking twin screw. Specially design for catching object up to 4mm to 90mm dia object. Attached 10mm by 150/200/250mm long chrome plated rod. 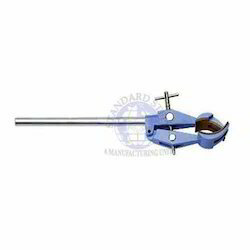 Our Burette Clamp Deluxe Model with all aluminium casted mounts on rod of 1/4" to 1/2" in diameter, two burettes can be securely held in a vertical position while still allowing full view of the burette scale. 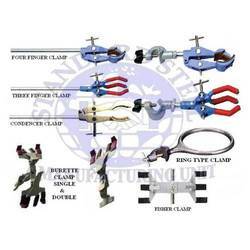 Clamp has a smooth enamel finish with rubber finger grippers. 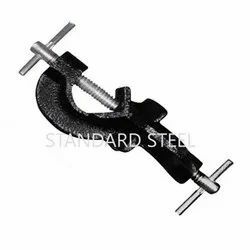 Fisher clamp made from thick mild steel sheet, duly machine pressed made. 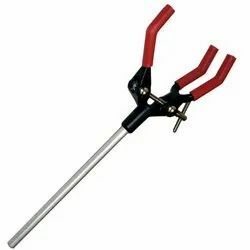 Jaws are covered with silicon grip to insure secure grip on burette. Attached with machine pressed boss head, able to hold up to 16mm dia rod. We are manufacturer of Revolving Boss Head. Made from Aluminum Die casted heavy duty material. Boss head is capable to rotate at 360o Deg. Specially design for giving a customizable position to rod. Capable to hold 16mm dia road. Keck clips widely used in laboratories and in Medical institutions as accessories. These Keck clips made from fine quality material. Keck clips available in various sizes and colours. These Keck clips are made from darling plastic material. Keck Clips Available various colour. Standard Glassware Joint Clips widely used in laboratories and in Medical institutions as accessories. 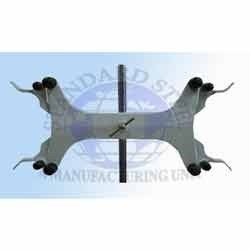 These Standard Glassware Joint Clips made from fine quality material. 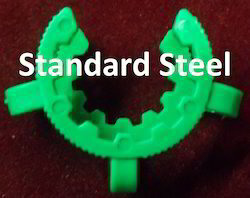 Standard Glassware Joint Clips available in various sizes and colors. 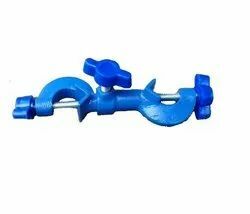 These Standard Glassware Joint Clips are made from darling plastic material. 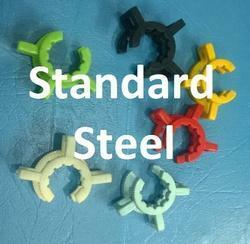 Standard Glassware Joint Clips Available various color. Standard Glassware Joint Clips - B14. Standard Glassware Joint Clips - B19. Standard Glassware Joint Clips - B24. Standard Glassware Joint Clips - B29. Standard Glassware Joint Clips - B34. 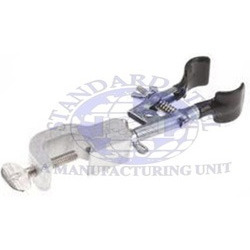 We are one of the prime manufacturers and suppliers of Laboratory Clamps, which are manufactured using high grade metal. The quality of the products manufactured by us not only appreciated in Indian market but these have carved a strong position in overseas market as well. To maintain the reputation of the company, it is assured that all the products are duly tested before being transferred to the client's site. These products are highly in demand for chemistry labs and other laboratories. 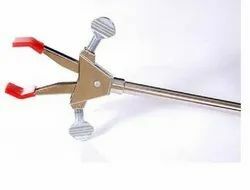 Looking for Laboratory Clamp ?